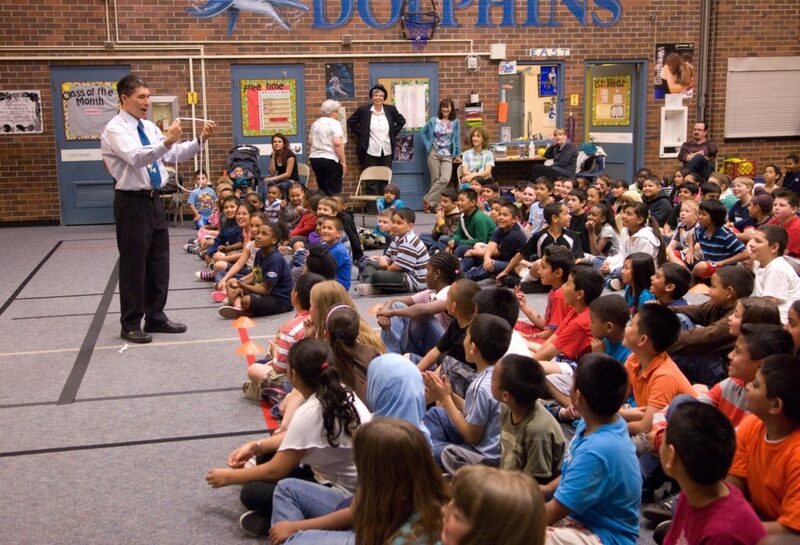 Jeff Evans’ and Rick Anderson’s Family Night Magic Shows bring kids and adults together for an amazing magic show. This show has been featured at thousands of schools, churches, parks and recreation events, community celebrations throughout Washington and Oregon. You can look forward to lots of audience interaction, clean comedy, and amazing magic that kids and adults alike will go home talking about! Jeff and Rick have entertained for literally thousands of events over several decades. This means they’ve seen a lot, and come prepared to shine even in less-than-ideal situations. Count on your magician to arrive on time, dressed sharp, with everything to make the entertainment a success. Performers can provide their own sound system or use the venue’s sound system. Ask us for recommendations for staging, lighting, seating, and timing to get the best result from your Family Night Magic Show. -Shelly Smith, Cedar Valley P. T. A. Your organization is welcome to charge admission, sell concessions, find a sponsor, hold a raffle, etc. to raise funds to offset the cost of the program or even make a few bucks. Ask us for ideas that other people have used to make their show a success. Jeff Evans and Rick Anderson frequently perform for adult and corporate audiences also. For your family-friendly event you can look forward to professional quality magic that is clean enough for kids, yet sophisticated enough for adults. Yes, even teens will love this show! Photos and custom posters are available free to help promote the event and insure a full house. -Melissa Santiago, Cedar Valley Elementary P. T. A. See photos from live shows, read reviews from clients, and watch videos here. 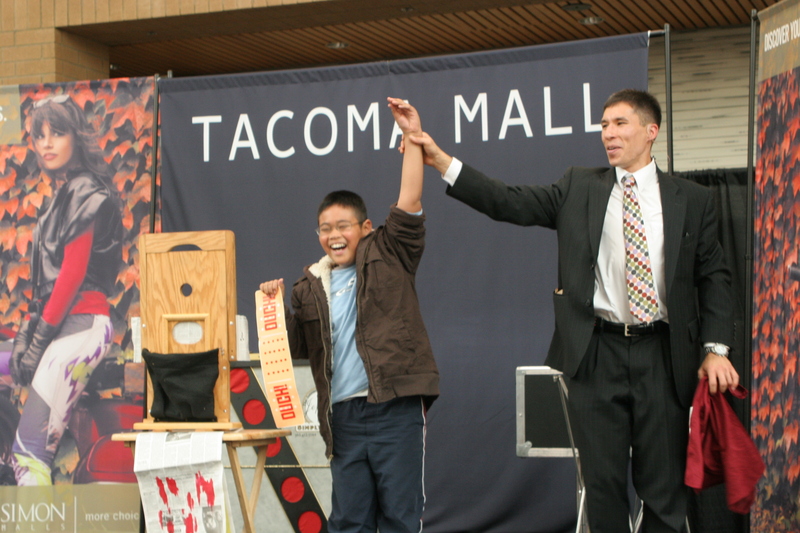 Call Jeff Evans toll-free 877-412-5064 or Rick Anderson at 253-988-7407 to learn more about bringing an outrageously fun Family Night Magic Show to your event! Contact us for availability and show options for your corporate event.